The 47th Meeting of the National Council (ICM) is being Called by the Chairman after a period of 9 years. The last i. e. the 46th meeting of the National Council (JCM) was held on 15 May 2010. Under the JCM Scheme the Ordinary meetings of the National Council shall be held as often as necessary, and not less than once in four months. Special meetings can also be called by the Chairman or on a request from the Staff Side. Unfortunately between 1999 and as on date only 7 meetings are held, which means within a period of 20 years only 7 times the National Council has met. This is a clear proof of violation and dilution of the JCM Scheme. Since the National Council of JCM is not functioning, the Departmental Council JCM’s under the Chairmanship of the Secretaries of the Concerned Departments are also not taking place. Therefore I request the Chairman to take a serious note of the situation and a decision may be taken to hold regular meetings of the National Council, its Standing Committee and also the Departmental Council JCM meetings and the decision may be communicated to all Departments. When the JCM Scheme came in to effect from 1966 all the Non- Gazetted employees were allowed to participate in the JCM Scheme. However due to upgradation of various Group C Posts to Group B these categories are now exempted from the JCM Scheme. The Staff Side is demanding for review of the same and to permit all Non Gazetted employees irrespective of their pay should be allowed to participate in the JCM Scheme. In the past due to repeated discussions in the National Council JCM, the Cabinet Secretary has written a D.O. Letter to all the Secretaries that before implementing any decisions to privatize, Outsource and closures, downsizing, corporatization, rationalization etc the staff side of the Departmental Council JCM should be consulted and their views may be kept in mind while framing such policy decision. However arbitrary decisions are taken especially by Ministry of Railway’s, Defence, Printing and Stationery, Postal and other departments for privatizing the work being done by permanent employees, closure of many units etc. This has resulted in total Labour unrest and series of agitations are being held including strike action. It is therefore requested that all these activities against the interest of employees may be stopped immediately and the entire issue may be discussed in the Departmental Council JCM meetings with the Staff Side. 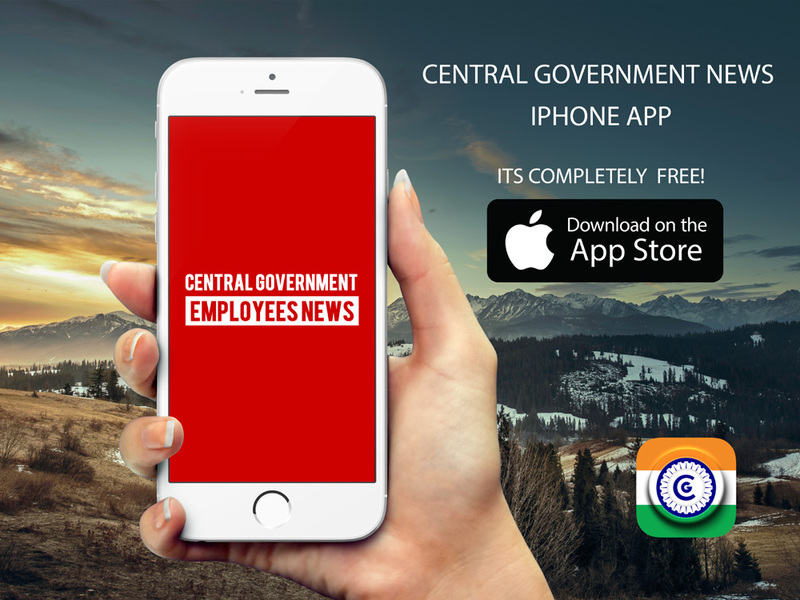 After the submission of the 7th CPC recommendations, the Central Government Employees were very much disappointed and there was an all around dissatisfaction since the 7th CPC has not taken into account the proposals of the Staff Side in determining the minimum pay and corresponding fitment factor. The 7th CPC has also rejected our demand to scrap the NPS implemented for employees recruited on or after 1/1/2004. In this backdrop the National Joint Council of Action of the Central Government employees have issued an Indefinite Strike Notice on the Government. A meeting was convened under the Chairman ship of Hon’ble Home Minister Sh. Rajnath Singh in which other three Senior Ministers including the Finance Minister and Railway Minister were also present. The meeting was held on 30th of June 2016 and based on the assurance given by the senior Ministers that the demands of the Central Government employees would be considered by a high Level committee, the strike was deferred. It is unfortunate that the commitment given to the NJCA was never honored and the discontentment amongst the Central Government employees still prevails. It is therefore urged upon the Government that the commitment of the Group of Ministers may be honoured in letter and spirit and Government may come forward to restore the negotiations with the NJCA for reaching an agreement on the following demands. – a. Enhancement of Minimum Pay and Fitment Factor w.e.f. 1.1.2006 – b. Scraping of NPS and restoration of guaranteed Pension under CCS (Pension) Rules 1972. – c. Option No. 1 recommended by 7th CPC for employees who retired prior to 01/01/2016. The Staff Side are repeatedly representing to grant one more option to switch over to 7th CPC pay scale from a date subsequent to 25/07/2016. Even though there is no much financial implication, the Department of Expenditure is not extending the benefit. This issue needs to be considered favourably. Inspite of the Government orders for grant of entry pay to the employees promoted on or after 1/1/2006 prescribed for direct recruits in the pay band is not yet implemented in many of the Departments for want of certain clarifications from Department of Expenditure. The issue was discussed in the last Standing Committee meeting and it was assured that necessary clarifications would be issued. However the same has not yet been issued. Due to non functioning of JCM and non acceptance of genuine demands of the Central Governments employees there is a multiplicity of litigation on service matters including MACP issues like date of implementation of MACP from 1/1/2006, MACP in promotional hierarchy, Annual Increment to employees retired on 30th June and 31st December etc. In majority of the cases the judgements have gone in favour of the employees and as usual the Government drag the employees up to Supreme Court and even after Establishing the Law on service matters by the Supreme Court the benefits are restricted only to the petitioners. A separate meeting with Staff Side may be held so that the demand for implementation of various Court judgements on service matters can be settled and the number of litigations can be reduced. The Defence Industry like Ordnance Factories, DRDO, Units under Army and Navy etc. are under serious attack. The entire policy decision needs to be reconsidered and all these Defence Establishments should be strengthened and developed. One time relaxation of LTC-80 cases, where employees have purchased Air Tickets from other than authorized Agents is pending for quite some time. The same may be considered favourably. Compassionate Appointment to the wards of employees who dies/medically invalidated on accidents while performing Government duty should be given over and above the 5% quota. Judgement of Supreme Court on service matters where policies are involved will be made applicable to all the similarly placed Employees. GPF to be introduced to willing NPS employees. Government seriously and positively considering the demand of allotment of salary budget separately to Ordnance Factories. Stepping up of pay will be permitted in MACP. Services of Temporary Status Employees of GSF Cossipore will be regularized. Government Orders on Risk Allowance and Night Duty Allowance will be issued soon. Relaxation of Educational Qualification for Compassionate Appointment to wife of employees medically boarded out from service would be considered. Regarding residency period for promotion from one post to another, the Staff Side should forward a detailed proposal. Grant of 90% Medical Advance for conventional diseases would be considered by Ministry of Health. Proposal for relaxation of LTC-80 is under consideration. Revision of pension to employees those who were compulsorily retired would be considered. The provision of “Wherever feasible” given in the Government order for grant of HRA without NAC would be considered. The decision on applicability of CCS (RSA) Rules 1993 to the workers of the Defence Ministry would be taken within a month. 15. The Demand for creation of NFSG grade in cadre of UDC / Stenographers in all offices outside Secretariat is under consideration of the Government. Reimbursement of Medical expenditure involved for over stay in the Hospital, because of infection / side effects would be considered by the Ministry of Health.